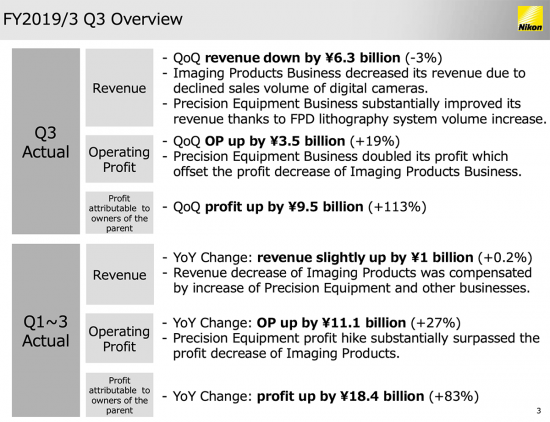 suppressed the volume largely in addition with the initial cost, resulting in revenue/profit reductions." 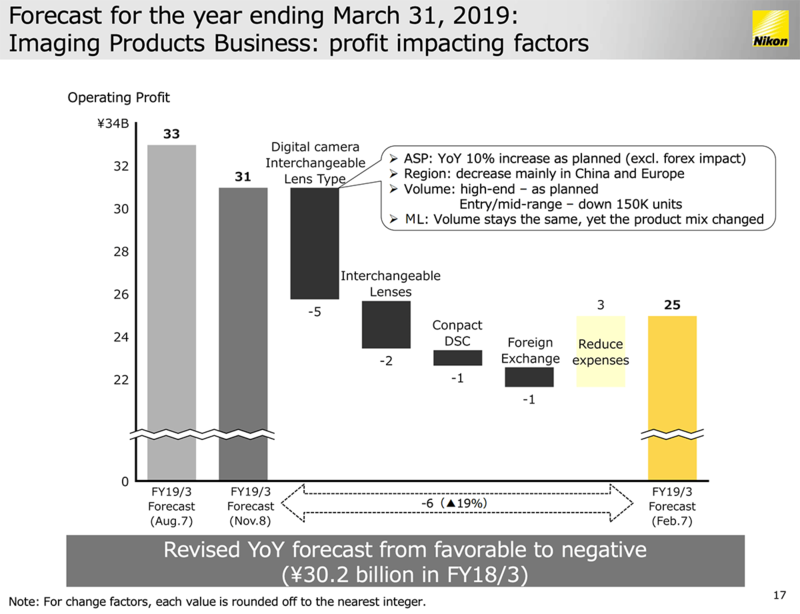 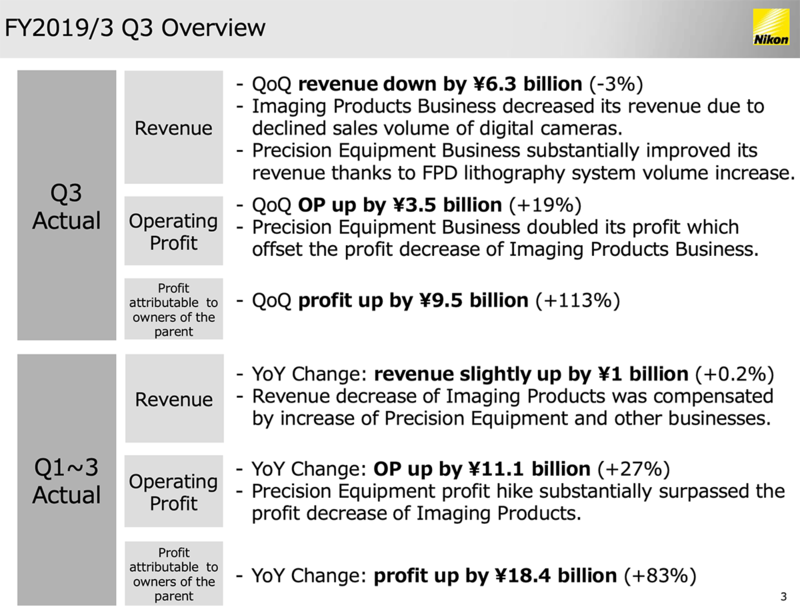 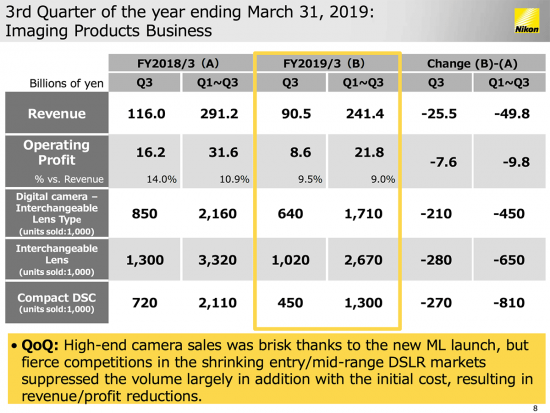 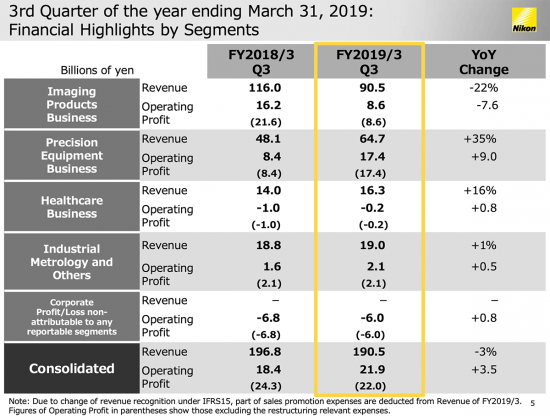 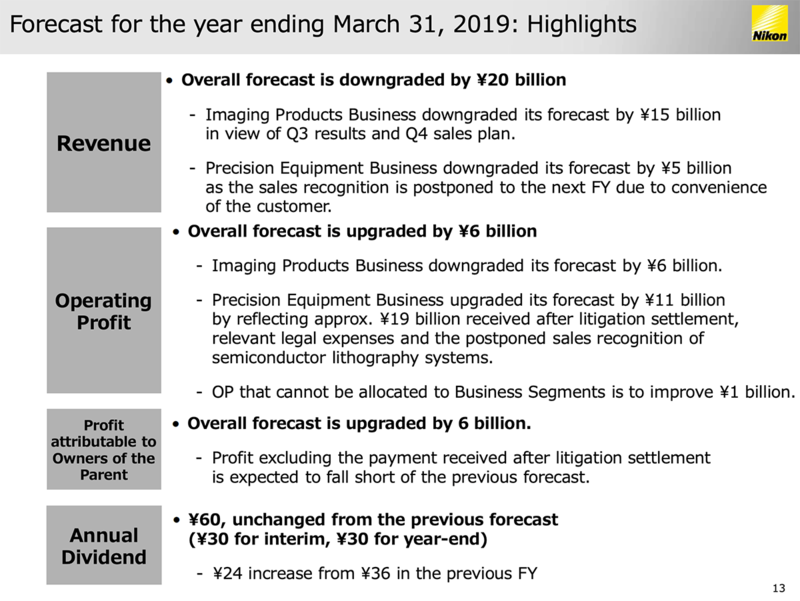 Nikon originally forecast Imaging Division Revenue of ¥320 billion and the new forecast is ¥305, down 15.44% from 2018. 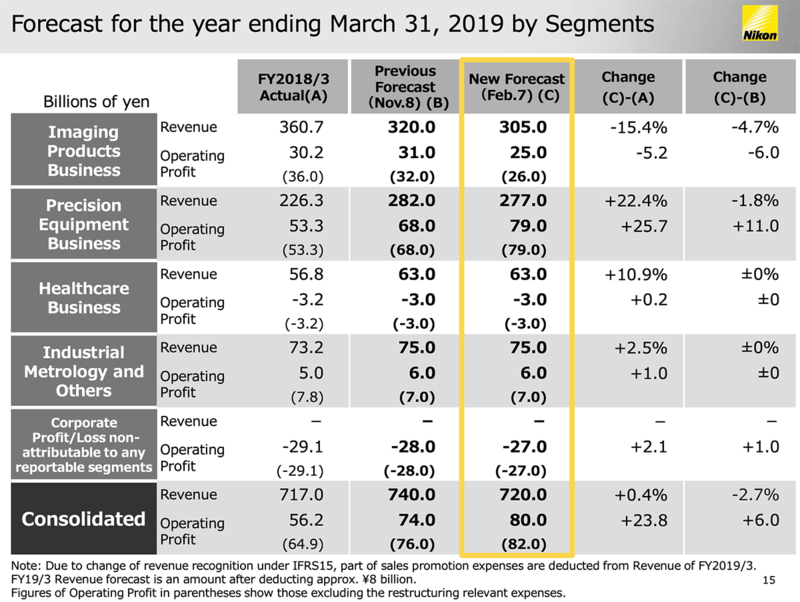 They forecast Earnings of ¥29 billion, raised the forecast to ¥33 billion in August and the new forecast is ¥25 , down 17.22% from 2018. They forecast 2.3 million DCIL units and the new forecast is 2.1 million, down 19.85% from 2018. 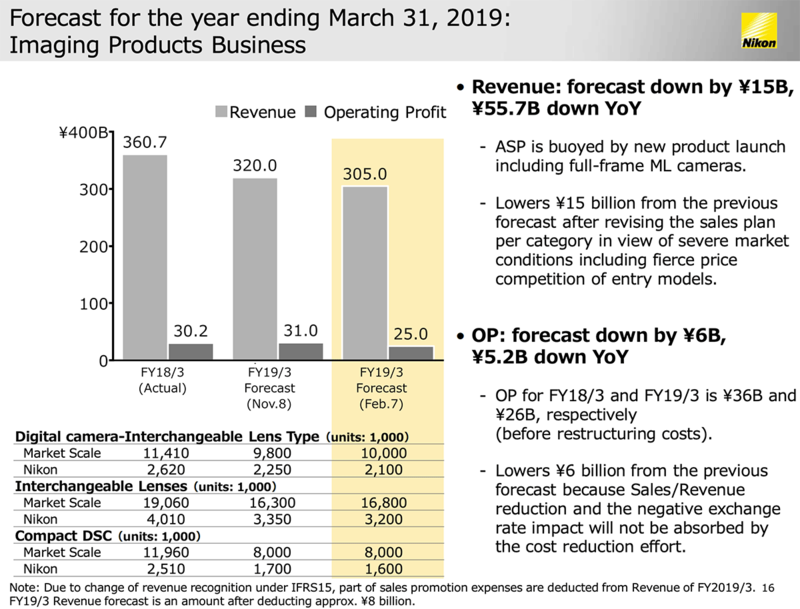 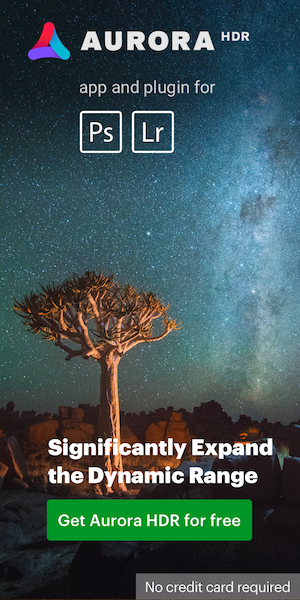 They forecast 1.8 million compacts and the new forecast is 1.6 million, down 36.25% from 2018.